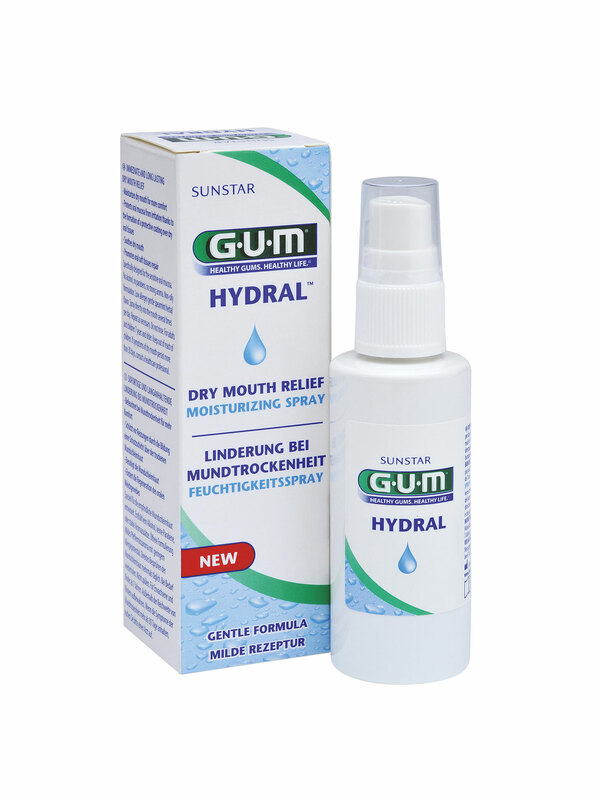 If you suffer from dry mouth you'll find Sunstar GUM Hydral Moisturising Spray super-convenient for on-the- go use to help alleviate dry mouth. Simply spray directly into the mouth as needed to hydrate, soothe and protect. GUM Hydral spray contains Betaine, Taurine, Sodium Hyaluronate, Sodium citrate and PVP, to moisturise, protect,soothe and promote repair. Designed for sensitive oral tissue, Hydral does not contain alcohol, parabens, Sodium Lauryl Sulphate (SLS), glycerine, glucose, limonene or linalool. The low allergen spearmint flavour is the preferred choice of dry mouth sufferers. This product is also used for the treatment of diabetes. Thirsting for relief from dry mouth? 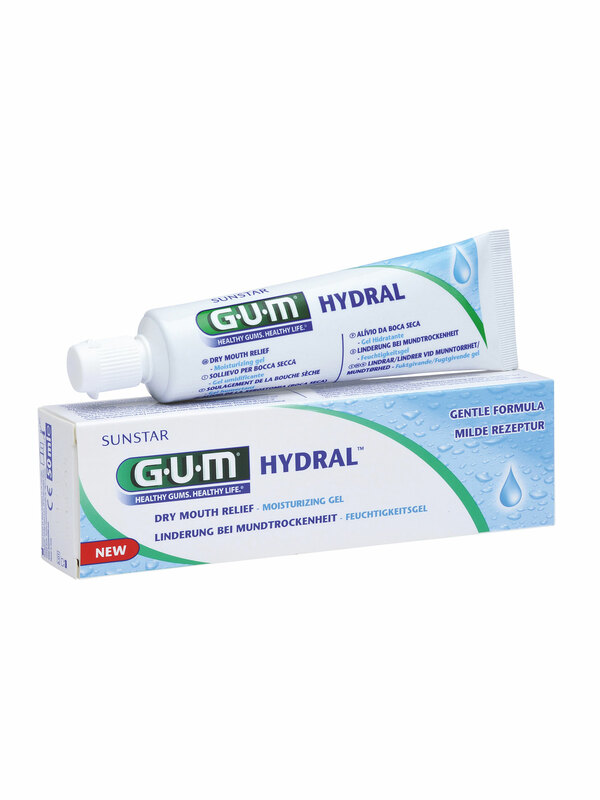 Sunstar GUM Hydral Moisturising Gel helps hydrate, soothe and protect. Made especially for sensitive mouths, Hydral is easy to apply and does not contain alcohol or common irritants, providing long lasting lubrication and relief. GUM Hydral contains Betaine, Taurine, Sodium Hyaluronate, Sodium citrate and PVP, to moisturise, protect, soothe and promote repair. Designed for sensitive oral tissue, Hydral does not contain alcohol, parabens, Sodium Lauryl Sulphate (SLS), glycerine, glucose, limonene or linalool. The low allergen spearmint flavour is the preferred choice of dry mouth sufferers. Sunstar GUM Hydral Moisturising Gel is ideal to use before bed and can be applied as often as required during the day. This product is also used for the treatment of diabetes.